In August 2010, the DePuy ASR metal-on-metal artificial hip device was recalled due to an increased rate of revisions (follow up surgeries) occurring shortly after the original hip implant. Certain medical literature and data has shown that a number of revisions in users of the ASR hip are due to metal debris from the metal components in the device. Following the ASR recall, a MDL was formed for all lawsuits filed in federal courts around the nation. 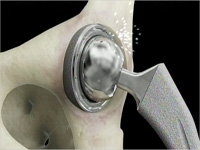 Now a second MDL has formed because DePuy makes various hip devices besides the ASR. Specifically, DePuy makes the Pinnacle metal-on-metal hip model that is similar to the ASR. There have been reports of metal poisoning and pre-mature revisions occurring with the Pinnacle device. Multiple lawsuits have been filed and the DePuy Pinnacle MDL has been assigned to Judge James E. Kinkeade in the Northern District of Texas.